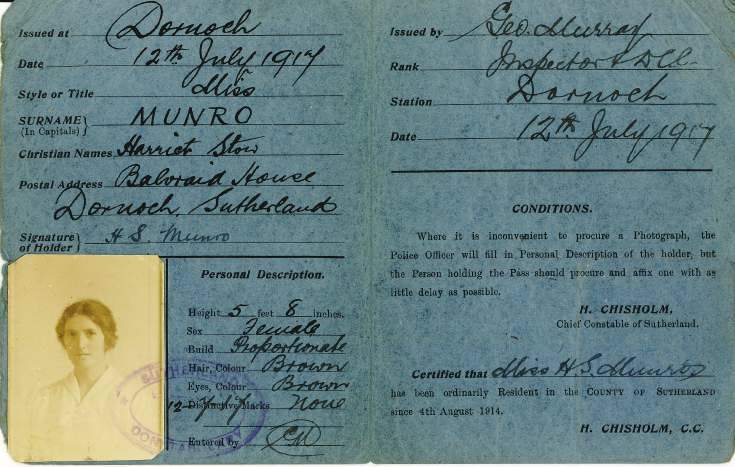 WW1 local pass for Harriet Munro, Balvraid House, Dornoch, where her father had a sawmill. She was born in Dornoch on January 18th 1889. Donor was her niece.